What a busy week it has been and next week is looking like one of my busiest weeks this semester. It feels like all the professors got together and decided to pile up every assignment possible. I am swapped with tons of papers. My current motivation is my trip in 2weeks. I feel like I have traveled a lot this year. I love to travel. Sometimes I think I could live the life of a jet setter :) I am most excited for my trip to Nigeria in December. After 4 years, I am ready to visit family and friends that I have made over the years and hopefully meet new people. I was thinking it will be nice to meet some readers from my country that have been showering me with so much love and support. Well, until then, I can wait for Christmas! What are you plans this weekend? that's one good chunky sweater! wishing you speed in all you have to do. where in Nigeria will you be at? Nigeria, wow that's spectacular take lots of pics. Anything for a good cause. My eyes can't come off that amazing cardigan I camel colors looks like perfection. love this cardigan and bag. 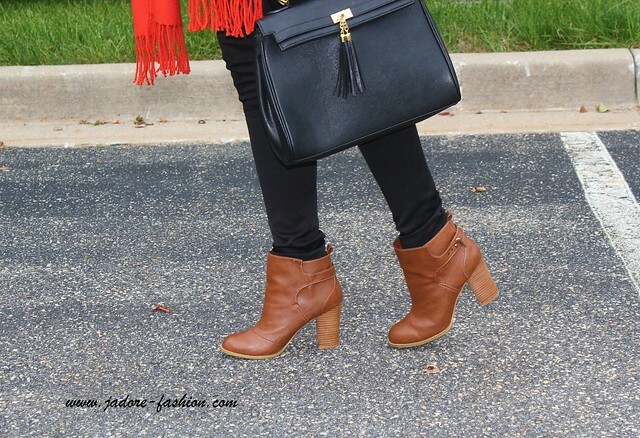 Great pieces paired together, I love the red and the brown boots and of course the bag! Fantastic look! Did u get my email? Love your cardigan, I have to get that color. Heart the earrings and bag. Cute outfit. Love the cardigan...elbow patches are cute! That pop of color is EVERYTHING! Stella, you look FANTASTIC as ALWAYS! 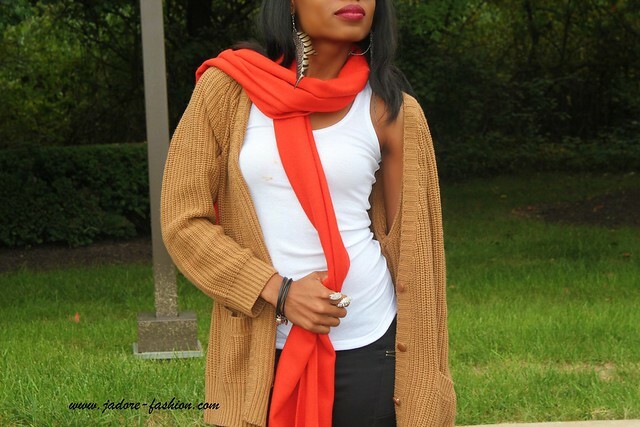 I love this look and the color of your scarf is so pretty! I love your scarf. 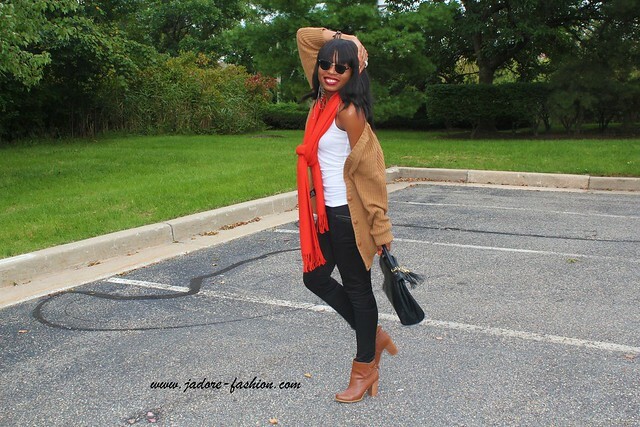 I just posted recently on my blog about how outfits can truly change and be more dramatic just by a bright scarf! You look great!